This was our first time visiting Owen O'Learys - thanks to our NIFT Card - and we had a really good experience. It's a hidden jewel- rustic ambiance, and the food was really and the service was excellent too! They also have really good beers, some they brew themselves. I would strongly recommend a visit to anyone that hasn't tried them before. They get a 10 on 10 from me. Thanks Nift! Our server was great and the food delicious. I think they could renovate the insides. A bit dated and somewhat dark. If I had to choose which location was my favorite, I’d go with Westborough only because of the interior. Great meal, however. Really delicious Vegetarian grain bowl! My husband enjoyed the Hot Turkey Sandwich. Servers friendly! Very warm and friendly. Great food. You walk into the place and it has this great bar in the shape of a U so you cannot help but join in other conversations. Nice Patrons, Bartender, and superb food. I had a blackened Rib-Eye steak with garlic mashed potatoes and eat everything. Seasoning was just perfect on the steak. Potatoes were like ones you would make from scratch. Highly recommend it. There is also a pool table there which is very hard to find these days. Food was great, but the service was even better! Thanks!!! Awesome! Great food, service, experience! 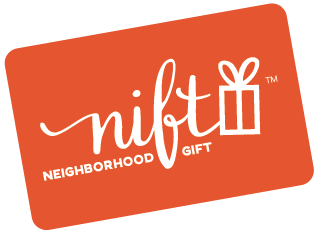 We haven't been there in a long time and we will be going back soon...and all because of NIFT! Thanks!!! Great ambience, great food and very friendly staff. Staff was very friendly and food was good. Delightful service and delicious food, and a welcoming fire in the fireplace when it was sub-freezing outdoors on a winter's day. I'll definitely become a regular patron. Thank you, NIFT! Dinner was a great surprise --large portion and wonderful taste! We were expecting JUST a pub experience and this was far above that type of food. Good pub food, reasonably priced, and tasty beer. One of our favorite restaurants. Worth it just for the salad and homemade dressing, but dinner was delicious, too - Chicken Parmesan & Pasta. Topped off with yummy Boston Cream Pie. Service was excellent. Food was great! They make their own beer, their IPA was really good! Wonderful waitress. Great brunch....limited menu for brunch But great. Loved the friendly atmosphere and great waitstaff. Food was great too! Will definitely be going back!